Jeanne Sauvé Foundation | Invitation to 2017 Sauvé Encore! 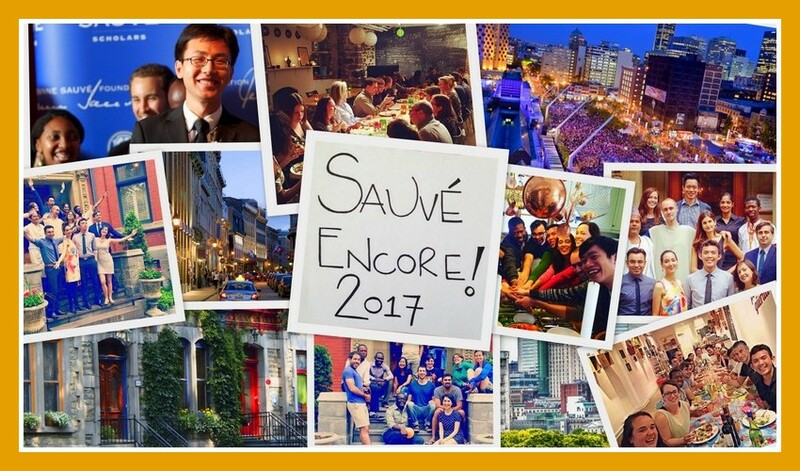 Invitation to 2017 Sauvé Encore! We are happy to announce the 2017 edition of Sauvé Encore! Sauvé Encore! 2017 will be hosted in Montreal on August 16th, 17th and 18th around the theme of: ‘Leadership: Balancing Action and Purpose’. Excited to join? Apply here before May 9th, 2017. This year’s program will bring together 30 Fellows, old and new, from across the world. They will include the incoming 2017-19 Fellows, the returning Fellows from the most recent 2015-17 cohort, as well as eight alumni from previous cohorts. · Participating in social activities at Sauvé House and fun events around the city! The Foundation will cover your travel costs to and from Montreal and provide food and accommodation during the three days. We look forward to your application! Remember to apply as soon as possible. We are accepting applications from all Fellows. Priority will be given to those who have not yet attended a Sauvé Encore!